We have all heard of scams via email and have maybe even sent some of those emails. Some of the ” scams” are not really scams, just a misguided albeit well-meaning attempt to tell us they are. Others are somewhat legitimate but based on many of those that have heard about are several years old. I now can say with confidence that the information I will share is relative to a current scam and is legitimate. Over a period of two days we received three unsolicited text messages purportedly from Gateway Bank. ( One really annoyed me since it woke me up!) These messages informed us that our Gateway Bank debit card had been deactivated and even provided the first 4 digits of the card and a number for us to call. The problem with all that is that we do not have such a card nor have we ever. After the third I began to get a bit miffed but still had no clue-duh- what was happening. I went online to the Gateway website and lo, and behold learned there were nefarious things occurring. The warning admonished those receiving the texts to not return the calls nor to give out the account number. Hopefully there were few if any victims. I am still rather curious about why we got the texts unless kind of mass text message. I trust that the Gateway fraud folks will find out what happened. All of this is yet another wonderful example of the seamy side of technology and how it can be used for good or bad. Good lesson for all. Never give one’s card number or pin to an unsolicited caller. Ever!!! I have recently completed a biography of Woodrow Wilson written by August Heckscher. There are many things that I could say about our 28th president from reading this somewhat lengthy tome, but I choose to confine my musings to just one topic. Prior to reading this book I would have thought of probably three things when thinking of Wilson. 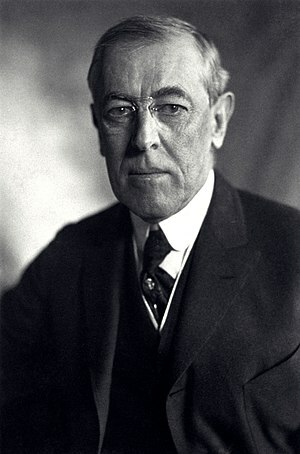 They would be his efforts at establishing the League of Nations, his wartime presidency and his second wife, Edith Bolling Galt Wilson, whom he married on December 8, 1916. The events surrounding Wilson’s stroke in 1919 and the subsequent effect on his life and his presidency have always been a fascination to me. For the first time I was able to read a detailed account of those events, by, I might add, a sympathetic biographer. As most observers of presidential history know, Mr Wilson’s stroke occurred on October 1, 1919. This event took place shortly after his return from a grueling trip to the western US in a vain attempt to sell the League of Nations. The stroke probably was not a great surprise since warning signs had been clear both in the recent and more distant past. Mrs Wilson was actually the person to find Wilson and from now to the end of his term, she and his physician Dr Cary Grayson were those most in the know. Grayson was generally responsible for issuing the concerned but generally unspecific health bulletins, as well as having the medical responsibility. Although the cabinet, a few trusted advisers and the vice-president knew of his condition, no one was willing to certify as unable to perform his presidential duties, although he was. Thus began the most elaborate cover up in presidential history, at least to that point. So, what of Mrs Wilson’s role? Throughout she had one overriding goal. Her husband’s life was above the effective functioning of the government. Mrs Wilson said of her activities, “the only decision that was mine, was what was important and what was not.” Now if that were true, she would be in effect acting as a modern chief of staff and serving as the gatekeeper for the president. For that alone she was not qualified, much less some of her other duties. She was intelligent but with very, very little formal education. She was of course affected by her own prejudices, preferences, likes and dislikes. The author asks and answers this question, Was she running the country? He said no, that the country was not running at all. I realize that I am disagreeing with one far more informed and knowledgable than I about the events, but will proceed to do so. Here is his reasoning. She only had power in determining who saw Wilson and what he would hear, as well as exercising control over what information went out. Even in that day, that was significant indeed. Among other things she pushed aside long serving advisers such as Col Edward House and Joseph Tumulty. On the signature issue of that time, the League, evaluate this. When she received a letter from Senator Hitchcock about a possible compromise, her response was no. Other questions submitted to him came back with a reply in Mrs Wilson’s handwriting. She often prevented letters he attempted to write from reaching the light of and thus embarrassing Wilson. She was even influential in forcing Sec of State Lansing to resign.And Joshua Alexander who was a sort of random pick as the new Sec of Commerce was actually interviewed by Mrs Wilson. Her influence was often felt in deciding where Wilson coud appear and for how long. So on the two major issues that affected the entire course of the government, she had no effective opposition. The first, keeping hidden the true nature of Wilson’s illness ( already mentioned) and keeping Wilson from resigning. And what strikes me as perhaps the most intriguing of all is this. Prior to their marriage, Wilson was sending the widowed Mrs Galt state papers of which he expected her to read and comment. The future even then foreshadowed ? Seems so, does it not?